Taking out a loan is a big decision. But with flexible payment options, better interest rates, lower costs than the big banks, we’re with you every step of the way because we’re local people making local decisions. Those decisions work to your advantage and your community’s advantage as well. Whether it’s a home or home improvements, a new car or a boat, or even starting a business., we understand our customers’ needs. We’re from here. We know you, and you know us. And that makes all the difference. Call us at (423) 775-8400 or visit your local branch today and let our experienced lenders assist you with all your lending needs. 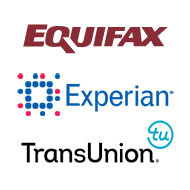 You can get one FREE Annual Credit Report from each of these companies.